So much of our meals are inspired by tradition, culture, and our travels. With St. Patrick’s Day just one week away, we’ve been been reminiscing about our time overseas, specifically our visit to the British Isles. During a weeklong stent in Ireland, we stayed with a friend who lived in a 350-year old farmhouse (rumored to be haunted of course and adjacent to a cave…I digressed). Thanks to the speed of technology and Facebook, we were able to ask him what would be considered a traditional Irish meal to celebrate the coming holiday. His answer? Stew! It’s still winter in the UK so I imagine that stew is a very popular dish in Ireland right now. So, in honor of St. Patrick’s Day, my husband is sharing an Irish tradition. 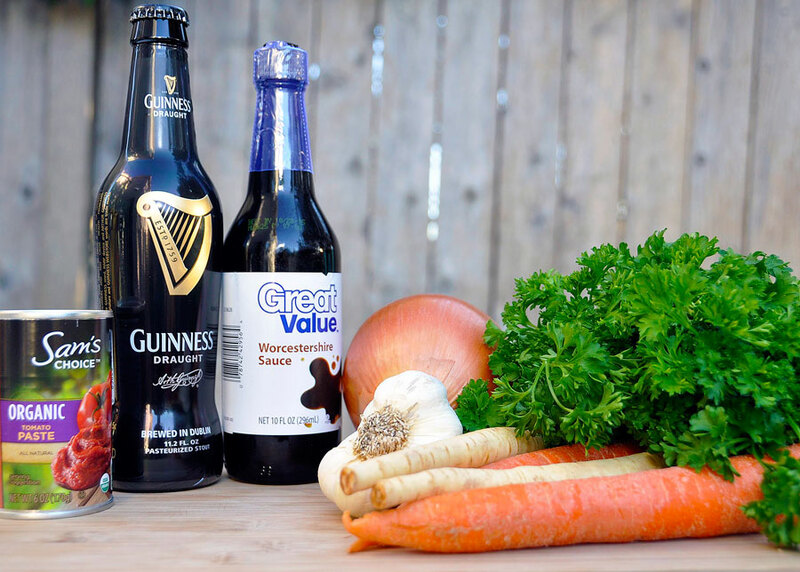 Here is his Guinness Beef Stew Recipe! 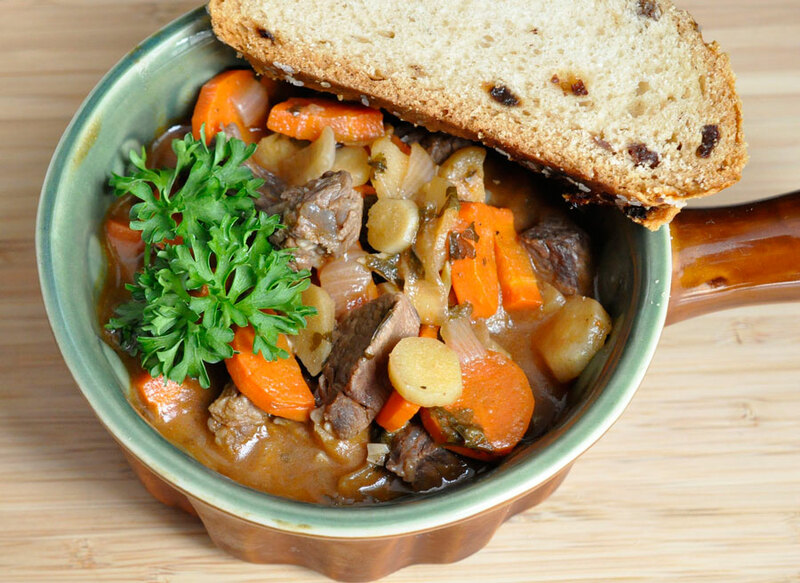 Everything you’ll need for this Guinness Beef Stew can be picked up in the grocery section of your local Walmart. I did pair the stew with some Irish Soda Bread which we picked up at our local indoor market. Vanessa from De Su Mama also has a homemade Irish Soda Bread recipe on her site that I think I might try this weekend! In a heavy bottomed pot or dutch oven, heat 1 tablespoon olive oil over medium high heat. Working in batches, cook beef cubes on all sides until browned. Add more oil if needed. Remove and set aside for later. When done browning beef, add 2 tablespoons olive oil, carrots and parsnips. Cook 3-4 minutes, stirring occasionally. Add onions and stir another 2-3 minutes until they start to soften, then add garlic. Sprinkle flour in slowly while stirring continuously to create a rue, and cook until it begins to brown lightly. Add Guinness and use a wooden spoon to loosen up any browned bits on the bottom of the pot. Add cooked beef cubes, worcestershire sauce, thyme, tomato paste and parsley. Stir to combine and cook on high for 3 minutes. Add stock and bring to boil. Reduce to simmer and cover. Cook for 30 minutes to 1 hour until carrots are soft and beef is tender. Garnish with parsley and serve with Irish soda bread. This stew is hearty and incredibly flavorful (I stole a few bites without the beef in it because the smell in our kitchen was divine). Rich and distinct, this soup’s flavor is derived from the popular Irish beer which features roasted barley. The actual alcohol is cooked off, leaving the aromatic Guinness flavor that characterizes this soup. 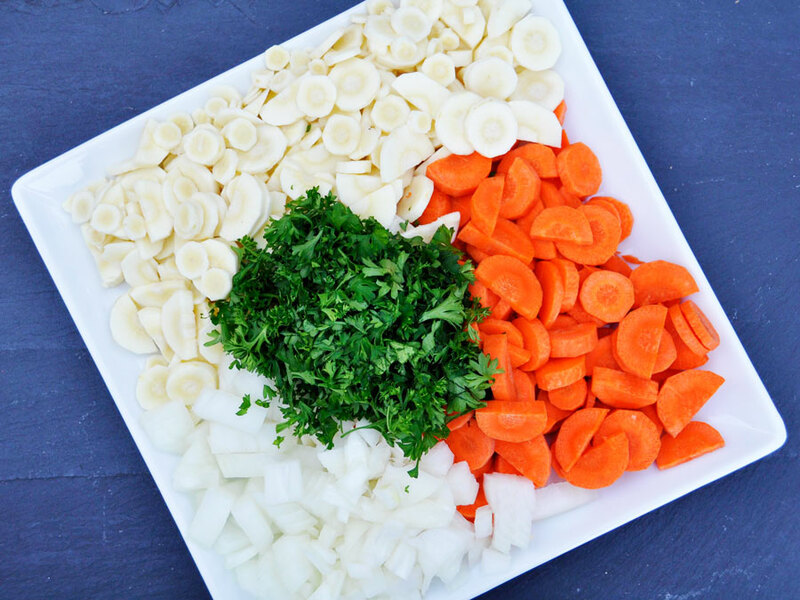 While the preparation isn’t overly extensive, I recommend cooking this soup in a slow cooker to allow the flavors to meld. The origin of St. Patrick’s Day is both cultural and religious and commemorates the famed patron saint of Ireland. Celebrations include parades, festivals, music, traditional foods, and the wearing of the green. Interestingly enough, despite the fact that we are currently in the midst of Lent, many of the restrictions related to food are lifted for the day. And since this soup technically does not contain a trace of alcohol, you can eat it if you are currently observing Lent. While definitely not a “major” holiday here in the US, there are still many families (Irish and from other cultures) that celebrate St. Patrick’s Day and I have been spending some time explaining its history to my children. A great resource for educating children about culture, tradition, holidays, and more is the History Channel. How are you celebrating St. Patrick’s Day? 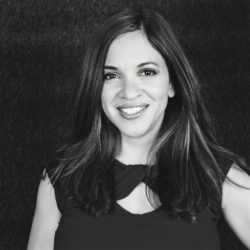 I’d love to share your craft and recipe ideas!